Do you know how good is SiteGround SG Optimizer plugin? They have done several changes recently and giving a tough fight to free cache plugins like W3 Total Cache, WP Super Cache, Swift performance cache plugin etc. You need a cache plugin to speed up your website, there is no doubt. I have shared a list of best WordPress cache plugins, where I have mentioned all the popular plugins we generally use. In this article, I am going to share the complete review of SiteGround SG optimizer plugin. And also a detailed step by step guide about how to configure SiteGround SG optimizer settings to get the best speed for your website. What is SiteGround SG Optimizer Plugin? 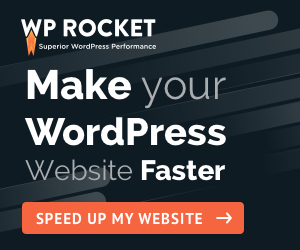 Can I use WP Rocket with SG Optimizer? Conclusion: Why SiteGround is Best Hosting For WordPress? SiteGround is not just another web hosting company with a lot of typical features. They provide some serious SPEED technology and infrastructure to make your website fas loading. Take a look at the stats of my website first. For this website, I am using a combination of WP Rocket + SG Optimizer + WP Disable to get 100/100 GTMetrix score and 100/100 in Google page speed insights. I am preparing a detailed guide on how I get 100/100 GTMetrix score with the help of WP Rocket & SiteGround Supercacher technology. Yes, SiteGround Supercacher technology provide awesome dynamic cache system with almost various advance cache features these free plugins are providing. You can fix various GTMetrix error just using SiteGround Supercacher + SG Optimizer Plugin. SG Optimizer is a product of SiteGround. That means this plugin and SiteGround SPEED technology together is enough to beat the other free WordPress cache plugins like W3 Total Cache, WP Super Cache, Swift performance cache plugin etc. I am hosting another website on my SiteGround GrowBig hosting Plan, on that, I am using only SG Optimizer plugin. You can check out the SPEED I got on GTMterix tool using only SG Optimizer plugin. I can further optimize this SPEED to get better YSLOW score though. SiteGround SPEED technology is their major USP, compared to other cheap web hosting providers. Website speed is a crucial factor to rank high in Google search and SiteGround shared hosting plans well equipped to provide the best server-side cache system. The best part is that you don’t have to pay anything extra. As their hosting plans include all these features. Just let me share the awesome features of SG Optimizer plugin, which is able to remove any popular free WordPress cache plugin. You can enjoy the dynamic cache feature which is far better compared to any other cache plugin. You just have to enable all the 3 different cache system of SiteGround: Static, Dynamic, Memcached. SG Optimizer plugin has all the major features of a cache plugin like minification, gzip, and lazy loading etc. The best part of SiteGround hosting is that they use the latest PHP. You can easily Upgrade to PHP 7.1 – 7.3 (higher is faster) after checking your current PHP version using SG Optimizer plugin. You can also enable browser caching, which is a key GTMetrix item. Another common GTMetrix error was removed query string from static resources. You just have to enable the SG Optimizer settings to remove this error. The best feature of SG Optimizer is their image optimization part. You can do complete image optimization by enabling Lazy load features for Gravatars, featured images, Thumbnails, Widgets etc. This can really help you to improve your WordPress site speed as the images will load only when the user will scroll the pages. But that doesn’t mean that SG optimizer is the best WordPress cache plugin. As still, it lags a few of other essential features. Let’s compare SG Optimizer with the most popular WordPress cache plugins. Till now, I would say one thing that if you go for SiteGround hosting then you can easily optimize your WordPress site for better speed compared to other web hosting plans. But, as I said I was not satisfied with that as I wanted to get 100/100 on GTMetrix and 100/100 in Google page speed cache tool. That’s why I go for WP Rocket, a premium WordPress cache plugin which will cost me only $49/year for a single website. And the result is simply awesome. WP Rocket has few more cache features available which make it completely a different and the best WordPress Cache plugin. Here are the key differences between WP Rocket & SiteGround SG Optimizer. All the features of SG optimizer are available in WP Rocket but are missing and they are. You can’t integrate CDN like we do with WP Rocket. Google Analytics gives an error in GTMetrix and this plugin can’t host your GA file locally. Swift Performance is an awesome Free WordPress cache plugin. In fact, Swift Performance Pro version is a tough competitor of WP Rocket. Yes, Wp Rocket Vs Swift Performance is a very hot discussion, although I found WP Rocket has a little extra edge, that I am going to cover in a separate article. But when you compare both SG Optimizer and Swift Performance Lite, Swift has certain features like Database optimization, Plugin organizer etc which can make your website load faster. I would say, If your website is on SiteGround, then better to use the combo of SG Optimizer + Swift Performance Lite. For further WordPress speed optimization, you can always upgrade to Swift Performance PRO. Well, I am not using W 3 total cache anymore. For my website on SiteGround, I am using SG Optimizer + WP Rocket combo and for another website on Bluehost, I am using Swift Performance Life. While comparing W3 Total cache with other cache plugins, I found this one is quite complicated to configure. If you check the SG optimizer settings, it is so clean and clear. But W3 Total cache has a very detailed and little complicated interface. So, finally, we are here to set up the SiteGround SG optimizer Plugin & SuperCacher settings to speed up your WordPress site. I am sharing the exact settings of SG Optimizer that I am using for my blog. But there are few changes, as I am also using WP Rocket cache plugin. In case you are also using WP Rocket plugin, you can follow the exact steps. Feel free to share your suggestions to get the best settings to speed up my WordPress site if you have any. First of all, you have to Login to your SiteGround cPanel and look for Supercacher option. Just click on that icon. You will get a detailed screen like below. You can see I have hosted 2 websites on this SiteGround GrowBig shared hosting plan. Now, look carefully that SiteGround SuperCacher comes with 3 different levels of the advanced cache system. That is why SiteGround is best WordPress providers. Anyway, now one by one go to every tab and enable the settings. Here is the screenshot of SiteGround Dynamic Cache settings. Make sure to ON the settings. Next, Lever 3 is Memcached which is a very powerful cache technology of SiteGround Supercacher feature. Keep the option ON. If you want to refresh cache anytime, click on Flush Cache button. So, we are done with SiteGround SuperCacher Settings from your SiteGround cPanel area. I am sure you find it very easy & quick to follow. Next, visit your WordPress admin area and Go To => SG Optimizer (from left side options). You will find a screen like below with 4 different tabs. You can follow these settings for this tab. Manual Cache Purge: If you want to clear the Dynamic Cache for your entire website. You can follow these settings for this 2nd tab of SG optimizer plugin. Switch to Recommended PHP Version: By default, it will set as 7.1. You can use the Manual PHP change option and click on the SWITCH button to upgrade this to 7.3 (latest PHP version). This will make sure your website loads faster on the latest PHP version. Make sure to check you are not going to face any error after upgrade. You can install Display PHP Version plugin to check your website’s PHP version first. Do you find this detailed tutorial of SiteGround SG Optimizer settings useful? Frankly speaking, we should not compromise with the website speed. And on shared hosting, it is very difficult to get such awesome infrastructure SiteGround is providing. Not only that reason, I have many points to prove that SiteGround is the best hosting for WordPress bloggers. SiteGroud is voted as #1 web hosting in many Facebook Polls. SiteGround servers are updated to the latest PHP version. Their latest SPEED technology will make sure your website is hosted on trusted servers. SiteGround has a track record of delivering 100% uptime. SiteGround Supercacher and SG Optimizer plugin will help you to speed up my website. SiteGround offers free Let’s Encrypt SSL certificates. Activate Free Cloudflare from SiteGround cPanel itself. They offer FREE website transfer service. SiteGround offers 4 different Data centers to choose from. SiteGround offers FREE backup which is enough to make sure your website secure. SiteGround support team is very much knowledgeable & response time almost nil. SiteGround 70% Discount is applicable on every hosting term you buy. Best managed WordPress hosting 2018 Facebook Poll. SiteGround was rated #1 in 2017 as per the Facebook poll as well. Even in 2016 Facebook poll also, we saw the same result. I tried to search other Facebook groups and found another Facebook poll where Siteground was voted as #1 web hosting company out of 18 companies. They got very positive feedbacks from Industry Experts, like Syed Balkhi of WPBEGGINNER.COM. In social media like Facebook, you will find many discussions where SiteGround has been recommended by many professionals, bloggers, and internet marketers. Check this Facebook Poll on Bloggerspassion Group. Another FB Group blogging network has similar discussions. This is not the end, there are more social proofs which is making it clear that SiteGround is the best WordPress hosting providers. Even though their renewal charges are high, they have a traffic limit on their plans. Feel free to share your questions regarding WordPress page speed. I am trying my level best to test different WordPress plugins and share the exact settings which will work best for your website. Also Check How To Set Up Thirsty Affiliate Plugin (a link cloaking plugin for affiliate marketers). If you find this SiteGround SG Optimizer tutorial useful, then feel free to share this in your social media with your friends. I am sure this will help them to optimize their website to load faster & improve ranking. Thank you for your continuous support & love.